Itasca Men’s Traverse Winter Boot | BUDK.com - Knives & Swords At The Lowest Prices! Equip your feet with the very best during the winter by making sure that you are wearing Itasca Traverse Winter Boots. 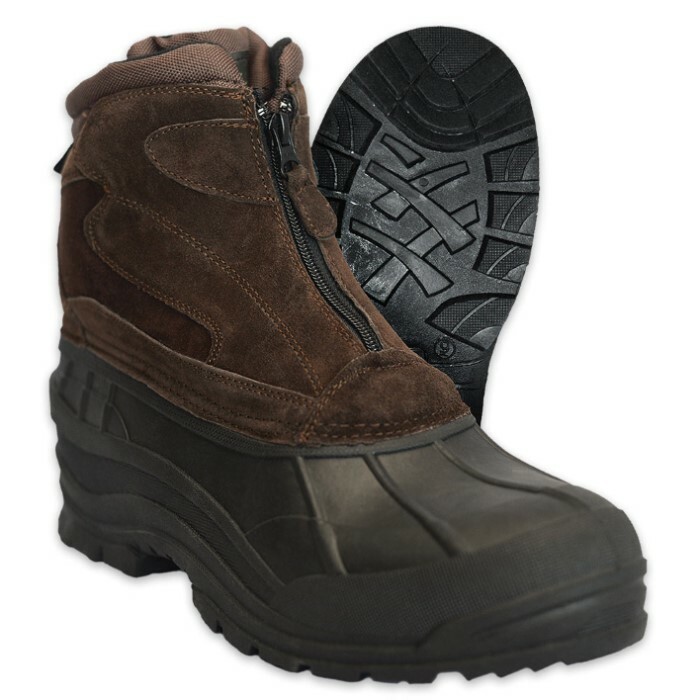 Featuring a waterproof design and traction outsole, these men’s boots are ready for tough work. 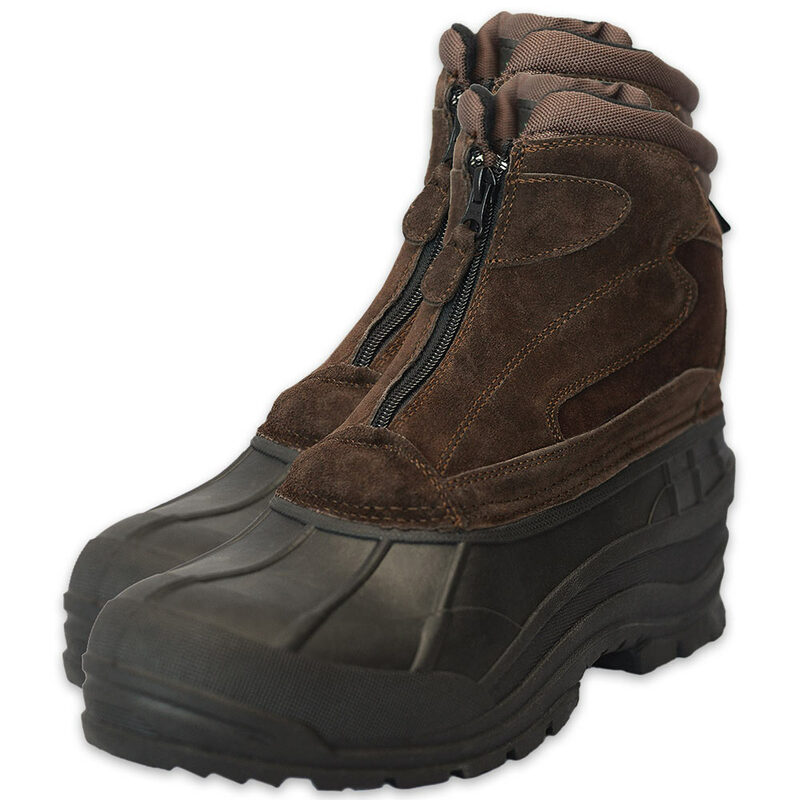 They are made of a strong brown leather upper with 30 Thinsulate insulation to protect your feet from the inside. They are comfortable and durable with a tough and lightweight TPR shell and an easy on and off front zipper. The boots also feature a padded collar and tongue. They come in sizes 8, 9, 10, 11 and 12.